Manchester United executive vice-chairman Ed Woodward is now understood to be in full control of transfers at the club, according to reports. 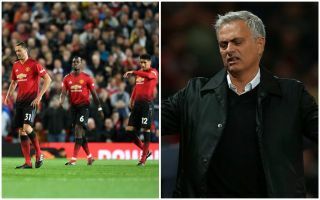 Woodward’s relationship with manager Jose Mourinho has been under the spotlight of late, particularly as the club have now made such a poor start to the season. With two defeats from their opening three games, United are now being linked by some with a possible change of manager. The Mail report Mourinho could be sacked if the Red Devils lose their next league match to Burnley, while CaughtOffside understands Zinedine Zidane has already been in contact with some players regarding replacing Mourinho at Old Trafford. It remains to be seen how this will all pan out and if Mourinho can recover, but for the time being the Portuguese does seem to be losing control at the club. The latest from the Telegraph is that Woodward is now in charge of transfers, making it clear that four players: Anthony Martial, Marcus Rashford, Jesse Lingard and Luke Shaw will not be sold. The report states this represents part of Mourinho’s ‘diminishing power’ at United, though it’s interesting to note that Paul Pogba is not among the players listed. Paul Pogba transfer saga to rumble on? The France international has been linked with Barcelona on a number of occasions lately, with the most recent report from Don Balon being that he’s determined to get a move there as soon as possible. The 25-year-old is also claimed in that report to be expecting Barca to try again for him in the January transfer window. It may well be that Woodward is now also aware that the Pogba situation cannot be repaired, despite CaughtOffside understanding he’s one of the players Zidane has spoken to about staying at the club.